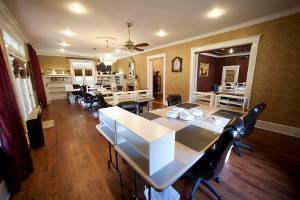 The glorious parlor is the setting for our spacious craft room with seating for all 18 guests. Enjoy views of the meticulous landscaping and the historic red brick street of Chilton while you work. 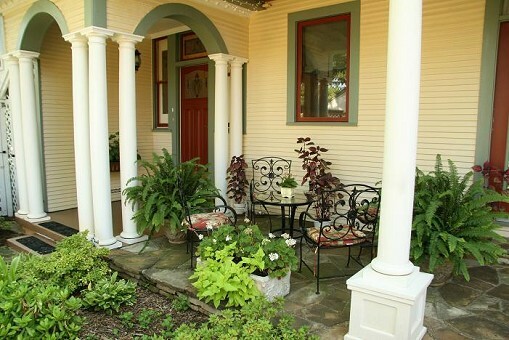 Slip out to the patio through the early 1900's curved door imported from England. More than 50 light bulbs, including a chandelier, three ceiling fans, and several recessed lights, provide extensive illumination for your work. 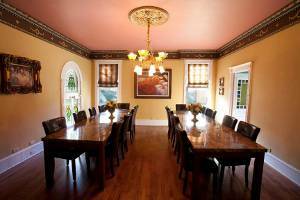 The formal dining room is equipped with tables to accommodate food service for all 18 guests so everyone can enjoy the great food and great friends together. If you opt for our chef service during your stay, you will be treated to several amazing meals here - all served at your seat and cleaned up for you when finished. An authentic carnival glass gasolier from 1906 provides light in this room. 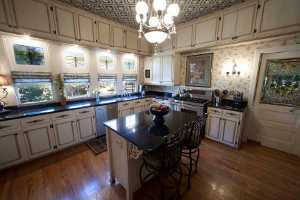 Grab a refreshment, some snacks, or cook a full meal for you and your guests. 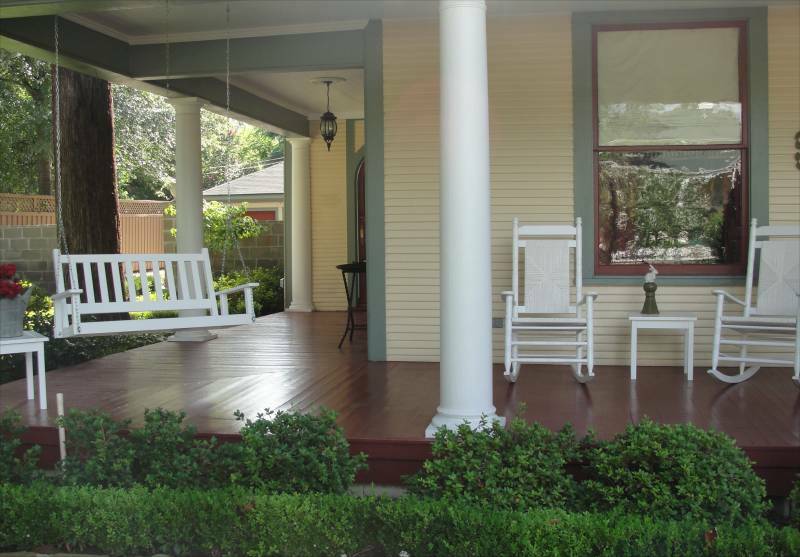 Our large wrap-around porch provides a morning sanctuary for a fresh cup of coffee and a good read. Have your breakfast while you watch the sun rise or enjoy a cold beverage in our rockers during the long summer evenings. 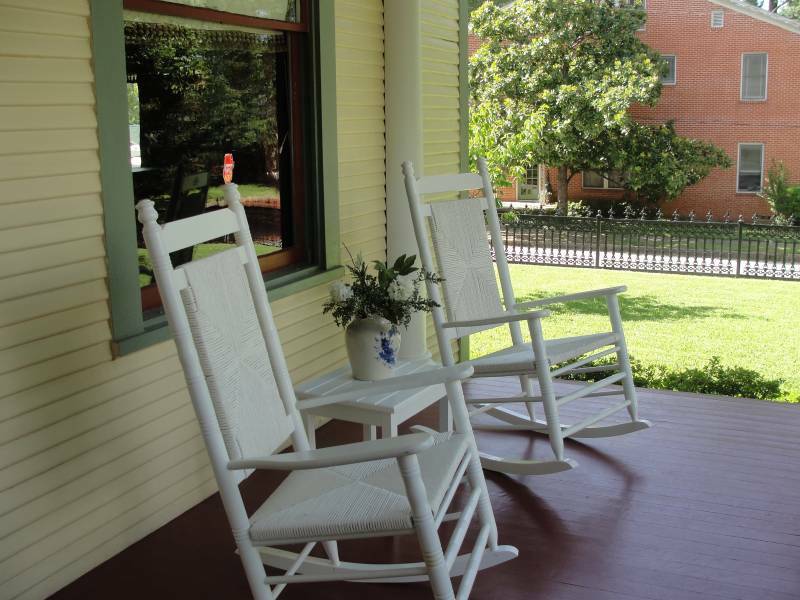 Watch the world pass by on the front porch or soak up the peaceful sounds on the back patio. 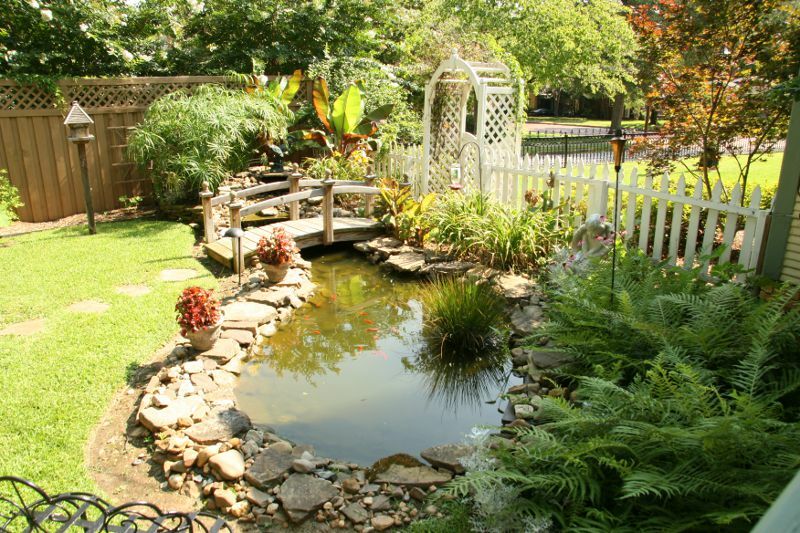 Take shade in one of our two gazebos, or listen to the serene sounds of a babbling brook as water flows into the pond.